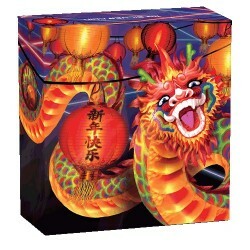 In Chinese culture, the dragon is revered as a divine mythical creature embodying wealth, power and good fortune. Dragons are frequently featured in pursuit of a flaming pearl, a metaphor for wisdom and enlightenment. Representing the elusive nature of these qualities, the lustrous gem is often illustrated swirling through mist or cloud. Struck by The Perth Mint from 1oz of 99.9% pure silver. 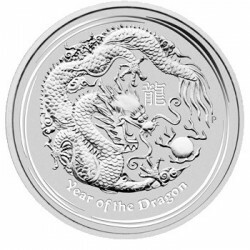 The coin's reverse features two dragons chasing a single luminous pearl, surrounded by scrolling clouds, along with the 'P' Perth Mint's Mintmark. The coin's obverse features the effigy of Jody Clark of Her Majesty Queen Elizabeth II, the 2019 year-date, along with the coin's weight, fineness and monetary denomination. 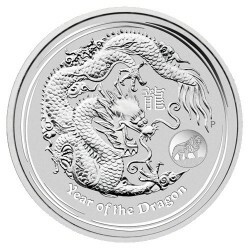 No more than 50,000 of the Double Dragon 1oz Silver Bullion Coins will be released - Only 5,000 in Australia. 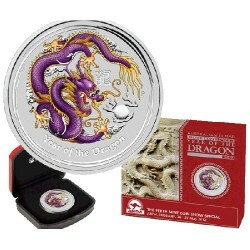 Each bullion coin is housed in a protective acrylic capsule. NOTE : This item is for sale within Australia only - orders placed outside Australia will be cancelled. Please contact the overseas distributors.